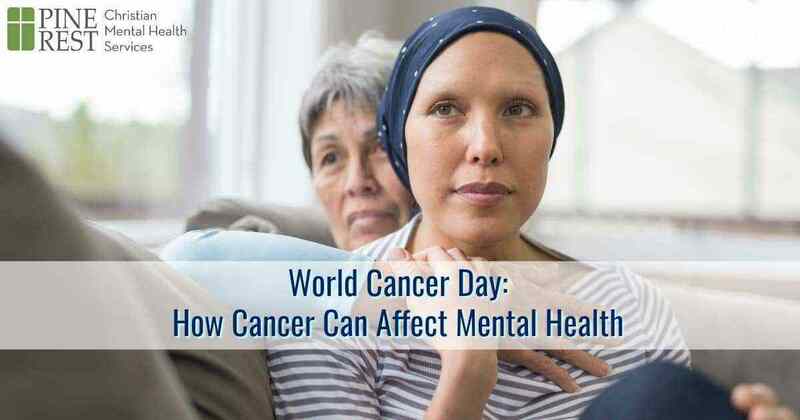 Cancer can affect your mental health – according to the National Institute of Mental Health (NIMH), the link between physical and mental health is two-fold. Not only are patients with a serious physical illness more likely to develop depression, but patients with depression are more likely to develop a serious physical illness. Depression and other mental health complications aren’t factors that have to accompany a chronic illness. Treating both physical and mental illness is possible and encouraged. Mental and physical health are inexorably linked, but it is possible to treat the two ailments separately and see improvements in one over the other. Even if your physical conditions aren’t treatable, depression and many other mental health concerns are. Cancer is a life-changing disease. Feelings of grief, sadness, anger and loneliness are normal. However, when these symptoms last longer than a few weeks or begin to negatively affect your daily life, it may be time to look into a more serious diagnosis. The NIMH also found that those who have coexisting mental and physical illnesses often experience more serious symptoms of both diseases. Though research doesn’t point to the improvement of mental state as a cure for cancer itself, it can definitely make an impactful difference in your daily life. Though researchers have not reached a definitive answer about whether treating depression helps relieve other disease symptoms, there is interesting research related to the physical effects of mental illness. Abnormalities in stress hormones, less control over heart rate, and signs of increased inflammation are a few such changes. Cancer survivors have been diagnosed with PTSD, depression, and anxiety. Coming to terms with a disease as aggressive as cancer is difficult for anyone, so it’s important to monitor for symptoms of emotional decline. Cancers like mesothelioma, which has a short life expectancy and up to 50-year latency period, can hit hard and leave patients feeling adrift. A 2009 study published in the Annals of Oncology found that one third of cancer patients in acute care hospitals have mental health disorders in conjunction with their cancers. This high prevalence indicates a need for conscious attention to a patient’s mental health during treatment. An important first step is acknowledging that you need to seek help. For many cancer patients, another trip to the doctor’s office or health concern to mitigate is the last thing they want or need. However, dealing with anxiety and depression is critical to regaining control over your own wellbeing. Treatment options may range from therapy to antidepressant drugs, so there’s likely an option for everyone. Certain treatments work better for different people, and it’s important to note that the time before results are seen will vary across treatment options. The essential thing is to recognize that mental wellbeing is just as important as physical wellbeing. Seeking out professional help, as well as admitting to your friends and family that you need assistance, is a step in the right direction. Chronic illness can make it difficult to get to a therapist’s office consistently. 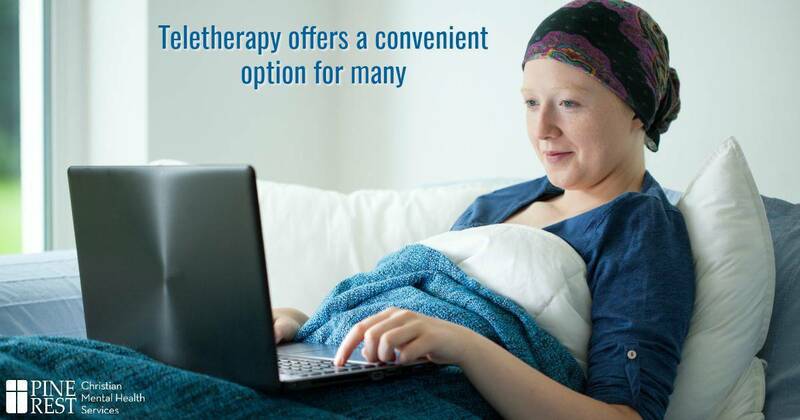 Pine rest teletherapy offers a convenient and wonderful option. Our licensed therapists are trained to provide online therapy through online video similar to Skype or Facetime anywhere in Michigan. To learn more, visit pinerest.org/telehealth. 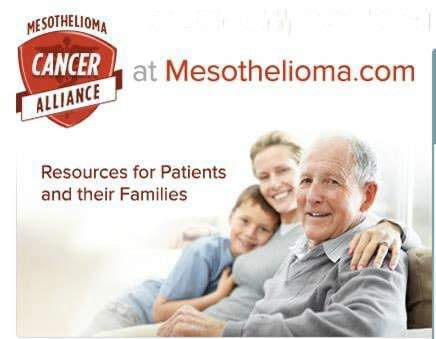 The Mesothelioma Cancer Alliance focuses on awareness and advocacy for mesothelioma cancer. The organization seeks to help people figure out their own risk factors for developing this dangerous cancer, and helps them navigate diagnosis and treatment.